The Philadelphia Eagles have been doing everything in their power to add a true starting running back to the mix this offseason. Initial temptation in the likes of Le’Veon Bell and Tevin Coleman netted the team nothing. With the NFL Draft less than a month away, most figured Philadelphia would look to add a running back through that avenue. 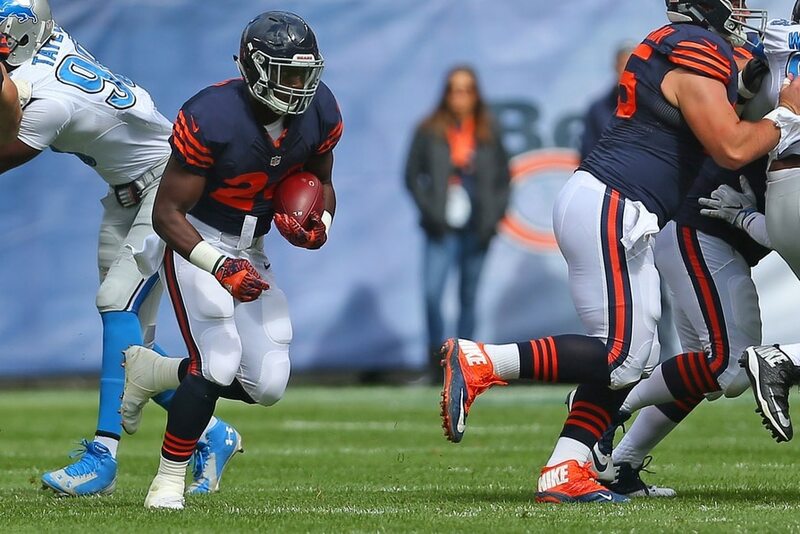 While that still might be the case, these Eagles just picked up the steal of the NFL offseason — acquiring former Pro Bowl running back Jordan Howard from the Chicago Bears in exchange for a mid-round pick in the 2020 NFL Draft. The ability to add someone of Howard’s ilk to the mix for next-to-nothing proves these Eagles are in it to win it. Wasn’t a fit in the Windy City: Matt Nagy’s offense didn’t work for Howard. After putting up 2,858 total yards and 16 touchdowns over his first two seasons, Howard regressed big time under Nagy this past year. He put up career-low numbers in terms of total yards (1,080) and yards per touch (4.0). It became apparent during the season that this wasn’t going to be a long-term marriage. By making the move for Howard now, the Eagles are buying low. Howard is a much better running back than what we saw last season. Got him for nothing: Philadelphia had been in the market, and got value. Instead of paying top dollar for Le’Veon Bell or adding an aging veteran, Philadephia got a kid that still hasn’t reached his prime. You don’t put up nearly 4,000 total yards in the first three seasons of your career without being good. The 2019 NFL Draft is weak at running back. Hence, the sense of urgency to add someone with proven experience to the backfield. Philly gave up pretty much nothing for Howard. A sixth (or fifth) rounder a year from now is not going to hurt the team. 2019 NFL Draft: The alternatives were not great. We’re not expecting a running back to go off the board in Round 1 next month. That just goes to show us how teams value this position leading up to the 2019 NFL Draft. One can easily make the argument that Howard is better than any running back in the class not named Josh Jacobs or Darrell Henderson. Each of those players would have likely cost the Eagles a second-round pick. They add a prime-year player for pennies on the dollar. Major upgrade: Eagles rushing attack was weak in 2018. There’s a reason GM Howie Roseman and Co. were looking running back. This unit ranked in the bottom five of the NFL last season. With both Jay Ajayi and Darren Sproles still free agents, there weren’t many realistic internal options on the Eagles’ roster. At his best, Howard is a major upgrade for Philadelphia. With Carson Wentz coming off yet another injury, building a strong rushing attack was a necessity. In no way does this trade change Philadelphia’s philosophy heading into the 2019 NFL Draft. The team didn’t even give up a selection this year for Howard. It does open up other possibilities. While the 2019 draft is weak at running back, depth is the biggest strength when it comes to this unit. The Eagles don’t have to overspend for a back with Howard now in the mix. Even then, we wouldn’t put it past Roseman and Co. to add another young back in April. It could give this team a one-two backfield punch it has desperately been missing. In turn, that will only help Carson Wentz under center.